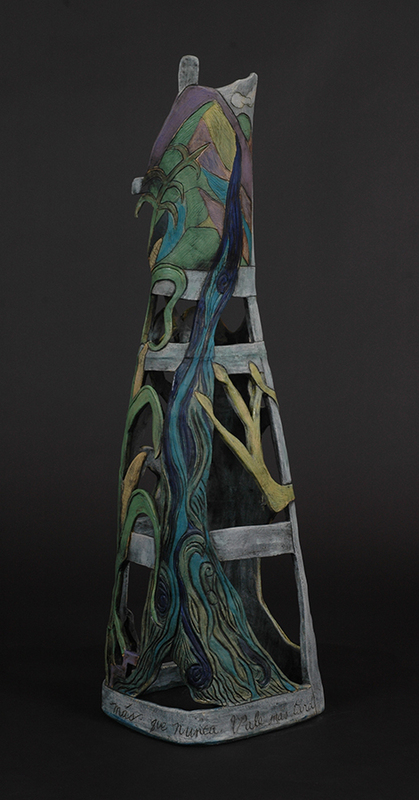 Part of the Dicho Series, this piece was imagined first from the dicho which translates to: Better Late Than Never. I am referring to being happy and being comfortable to being back home in New Mexico after being away for 13 years. 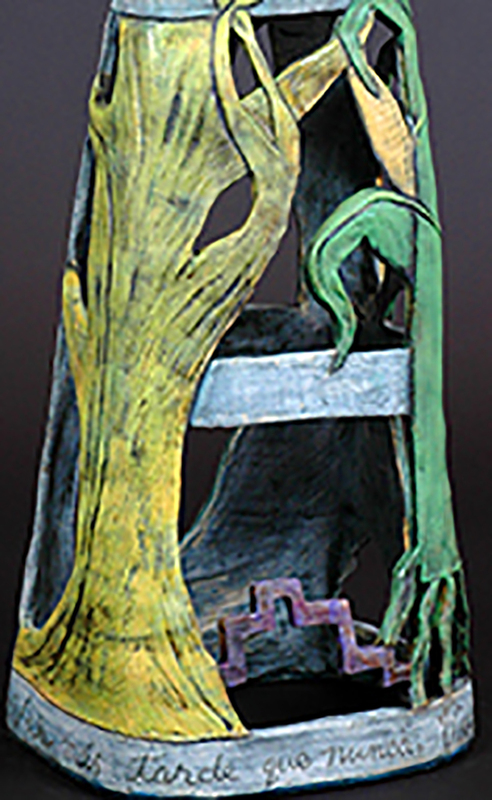 The chair serves as the story and the storyteller simultaneously. 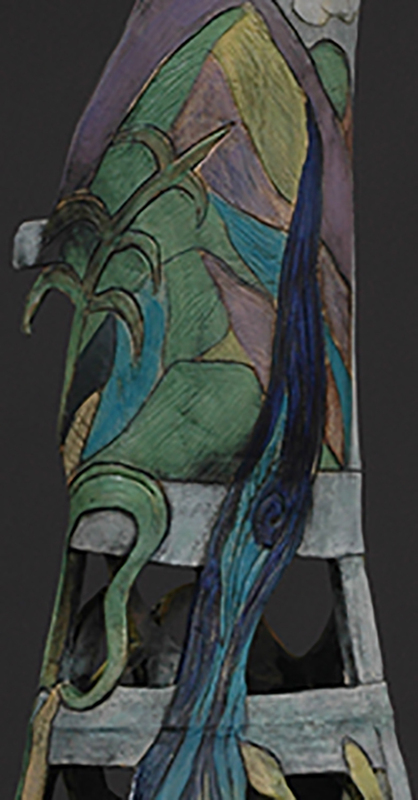 The front of the chair shows clouds above the New Mexico landscape with a large tree and a corn stalk. 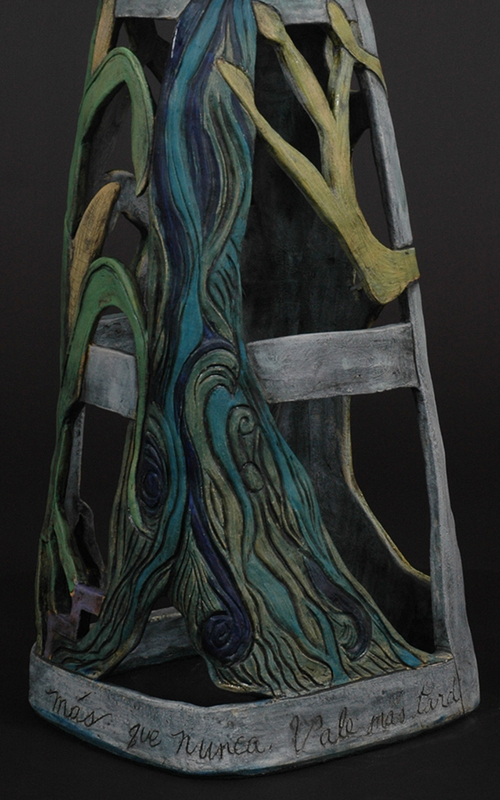 The back of the chair shows Taos Mountain with a river running from the mountain to the valley nurturing the land.